Stanton has a sign on the road into town naming itself the "Little White City" and is the birthplace of an actress from Folgers Coffee commercials. The water tower is shaped like a coffee cup with graphics reflecting the Swedish heritage of the town. 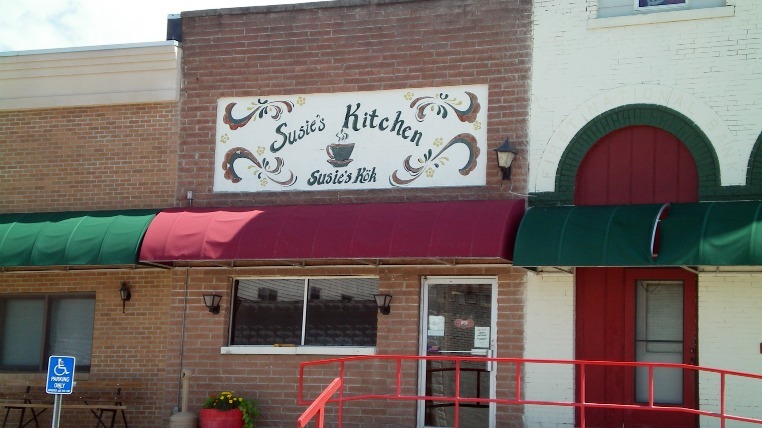 In more recent times, Stanton has become locally renowned for its Swedish-American Cafe, Susie's Kök or Susie's Kitchen serving up comfort food to travelers along Highway 34 in Southwest Iowa. 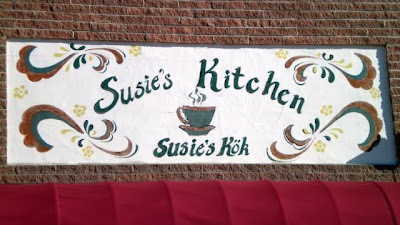 Susie's Kitchen has been featured in The Iowan magazine and Roadfood among other places. Location: 404 Broad Ave. in Stanton, Montgomery County in Southwest Iowa. Directions: The road south from Highway 34 veers to the west and turns into Broad St, leading a visitor right in front of Susie's Kitchen. The Tenderloin: The owner of Susie's Kitchen explained to me that the tenderloin was made by breading the loin then putting it on top of a flat grill. This is not deep fried or pan-fried like nearly every other place. As a result, the texture of the breading is free of any oil or grease. The color of the breading is a bright white with golden brown and darker marks from the grill. This breading method is clearly healthier than what most other places use. The flavor just wasn't on par with others, and the loin felt a little dry. There just isn't any grease on this whole sandwich. 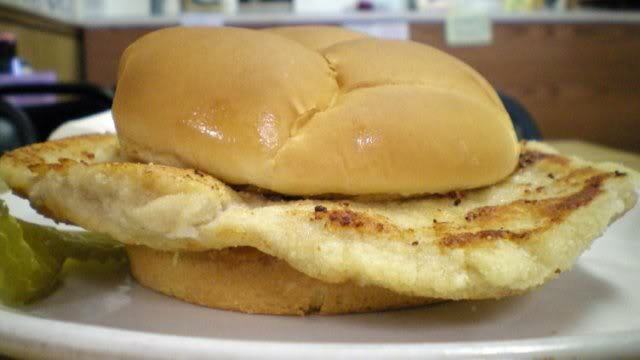 You will notice the butter in the toasted bun. Overall 7.5 out of ten. Price: $7.00 with a side. Also on the menu: There is the usual breakfast and lunch with sandwiches. The Fruit of the Forest Pie and other Swedish foods are the specialty. 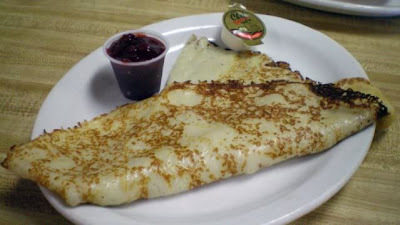 The Swedish Pancake with Linggonberry Jam were something special. It felt wrong to order just one on the side. These have a fine texture and the jam brings berry flavor over the top. Highly recommended. Service: The owner of this place was walking between the tables and a local high school aged kid was waiting tables. Ambiance: This is a small town main street cafe with tiny Swedish designs like what is on the giant coffee pot and lots of wood paneling. 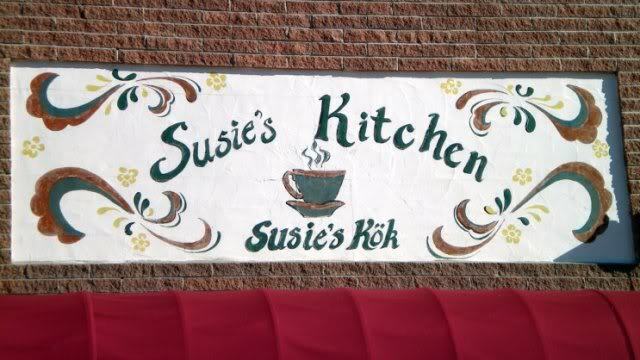 Final Thoughts: Susie's Kitchen served breakfast all day, and in Stanton "all day" means until the place closes at two in the afternoon. Plan on getting here early for the great pancakes and pies. 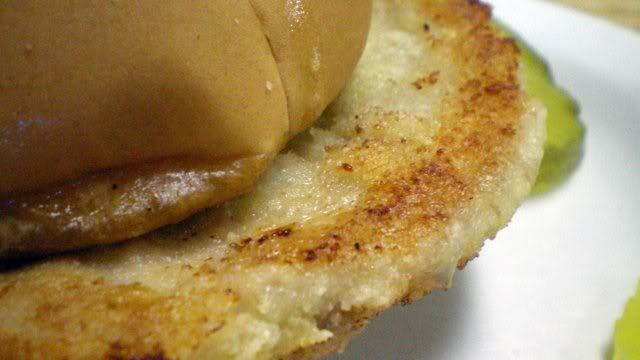 The tenderloin will probably please people looking for a healthier version of the classic breaded pork tenderloin, because its not deep fried. There was an article in the DSM Register today all about the best tenderloins in Iowa. It was a good article and I emailed the reporter and told her so but I also alerted her to your blog which I said had spot on thorough evaluations. Well to update you I got a reply back from the DSM Register reporter and she said she did know of your blog but was told you were reclusive and would not be interviewed! Sounds so intriguing! LOL Anyway, love your blog. Thanks for the update, somebody from the Register did reach out to me a few weeks ago but I like to keep things as close to anonymous as possible. 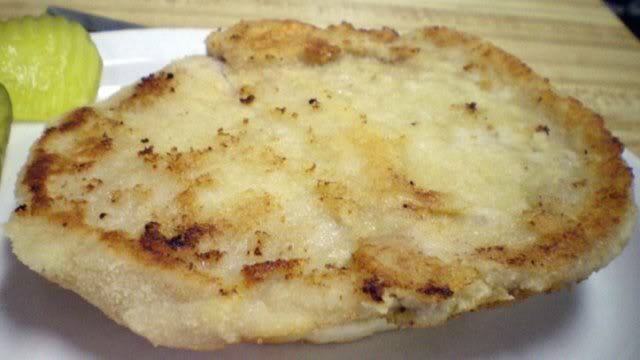 I recommend checking out the recent issue of Saveur Magazine for another article about breaded tenderloins in Iowa.